Despite the usual flood of Geneva reveals, you might have noticed that the PH homepage is rather Aston-heavy today. 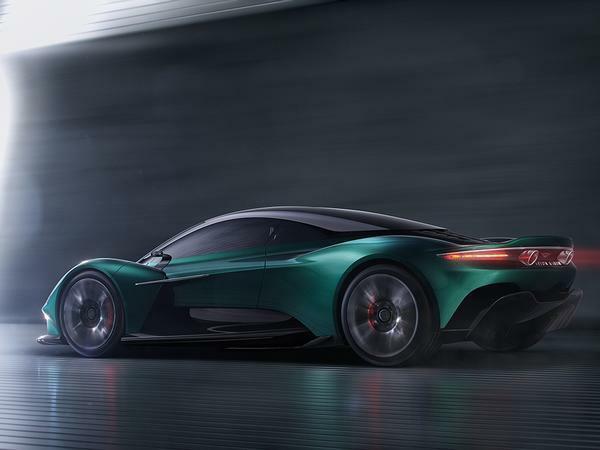 That's thanks to what the company is modestly referring to as "an unprecedented show of force" with the world debuts of not only the AM-RB 003 and Lagonda All-Terrain Concept, but this: the Vanquish Vision Concept. 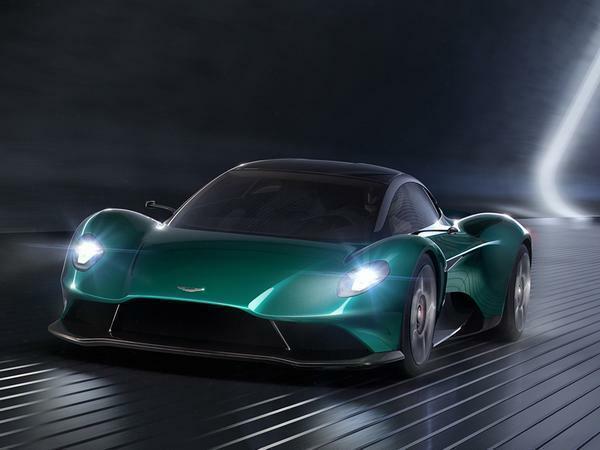 Technically Aston refers to this as its fourth mid-engined creation, following on from the Valkyrie, Valkyrie AMR Pro and newly-announced AM-BB 003. 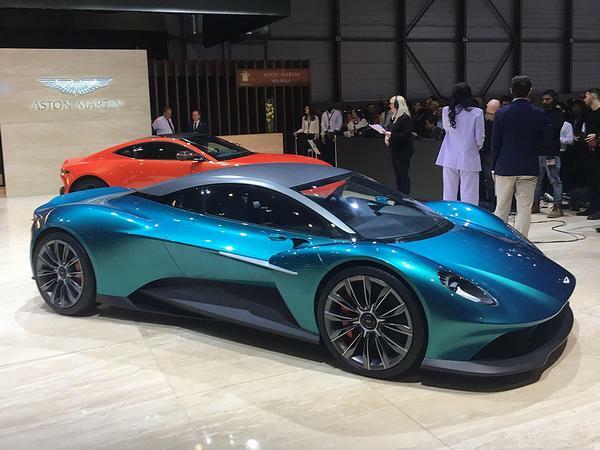 In reality, however, when the new Vanquish enters production in 2021, it will be the firm's first foray into the realm of bonafide mid-engine production cars, and represent a far more significant step for Gaydon's Second Century plans than any of the models which have preceded it. Whilst those were hypercars, extremely limited in number, incredibly expensive to purchase and restricted to the garages of a select few customers, the Vanquish is intended as a big-selling rival to the likes of the Ferrari F8 Tributo and McLaren 720S. At least Aston Martin hopes it will; standards in the segment have arguably never been higher, so the Vanquish will need more than a few tricks up its sleeve to tempt buyers beyond brand-aficionados to make the switch. More detailed technical information will be revealed as the car's development programme advances, but Aston has given us two morsels upon which to feed until then. 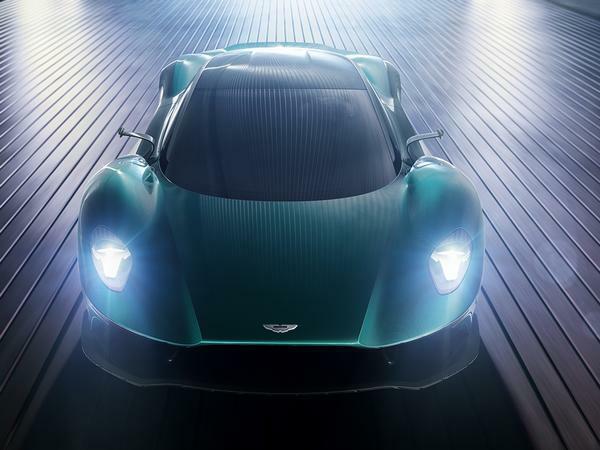 For starters, the new Vanquish will mark a return to the days of six-cylinder Aston Martins, with power coming from a non-hybrid version of the new turbocharged V6 found in the AM-RB 003. That in itself is a huge announcement, one which is sure to ruffle the feathers of those who believe that a modern Aston flagship should have at least eight, if not twelve, cylinders. Second comes the news that, while the car's styling is clearly highly influenced by its bigger brothers - though, "less technical", intentionally prettier with "more flowing and sensuous forms" - its underpinnings will be significantly different. 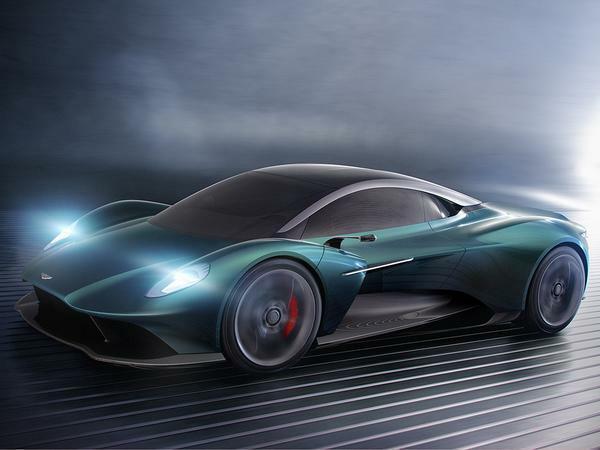 While the Valkyrie and AM-RB 003 make use of all-carbon fibre construction, the Vanquish will utilise a bespoke bonded aluminium chassis in order to meet the price, production and strength-to-weight targets of the project. 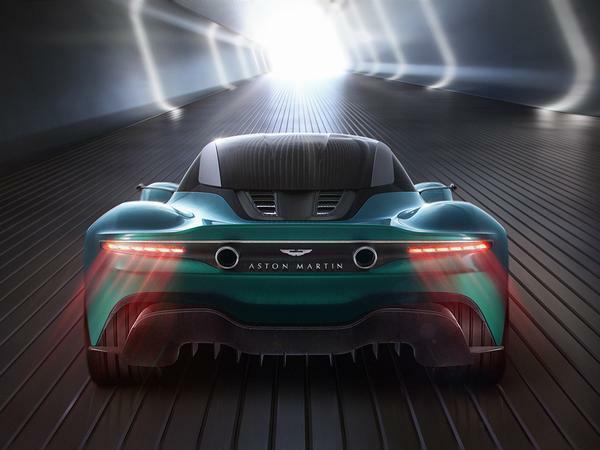 It was developed under the watchful eye of Chief Technical Officer, Max Szwaj, who said: "The Vanquish Vision Concept is the point when the things we have learned during the Aston Martin Valkyrie and AM-RB 003 programmes reach the series production models. Creating a car like this for Aston Martin is a challenge I have relished since joining back in 2017. Although it takes Aston Martin into new territory, it does so with the benefit of hard-won knowledge, ground-breaking ideas and an uncompromising mindset. 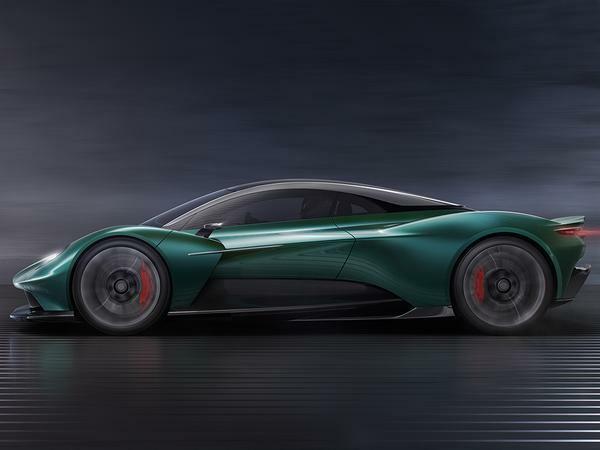 The full engineering story of this car is yet to be told, but what you see here should tell you this car will not only compete at the highest level, but it will do so in a manner and style unique to Aston Martin." The Vanquish represents both a break with and return to tradition for Gaydon, then. A six-cylinder motor, powering an Aston Martin looking to beat Ferrari at its own game, sounds like a step back in time. A mid-mounted turbo V6 in a flagship model, on the other hand, is a giant leap into the unknown. Only time will tell how the move will turn out for Aston, but on current form we'd wager it'll result in something very special indeed. I think that looks fantastic, especially from the rear. 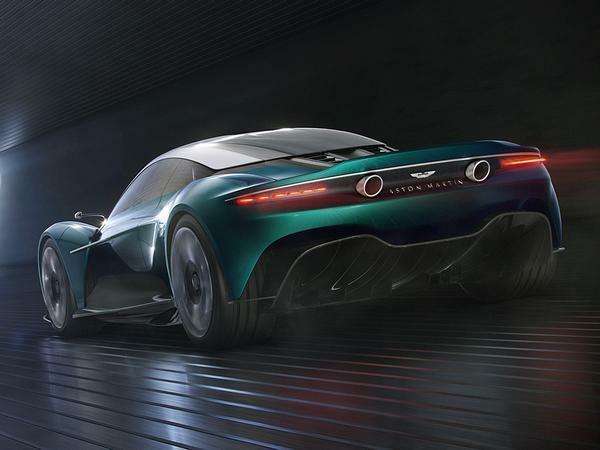 I'm shamelessly stealing this from a previous comment a month or two ago, but someone moved from Lotus with Bahar's product plan in their laptop and the team at Gaydon assumed it was a new plan meant for Aston Martin. A raft of near-identical cars coming into a stagnant global sports car market. And the new Lagonda? This could well be the moment that Aston Martin tips over into comedy. The only way is up attitude ,wait for Tesla's sports car to blow this lot away on acceleration for 150k ,but I'm genuinely pleased we have our second McLaren clone range of models . Bonded aluminium going up against carbon tubs is punchy for a new car in this sector especially one launching in 2021. Then again Lotus have made it work brilliantly - all be it at a lower price point. Look forward to finding out more. McLaren Grand Tourer ditches cladding: Update!